Teddy bears aren’t all button noses and fluffy ears; otherwise why would you need a disguise to go down in the woods? 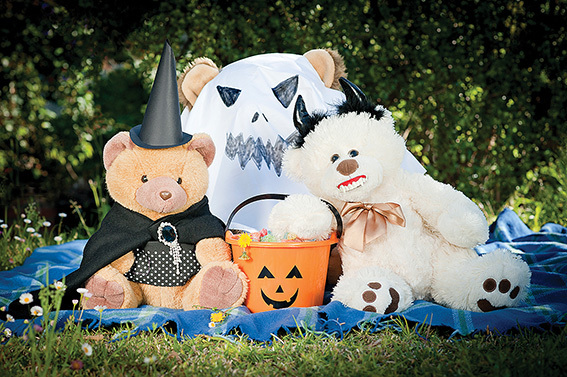 It’s an idea artists DeeDee Noon, Kevin Ballantine and Gill Willmer take to the extreme with a kid-friendly-ish Halloween teddy bears’ picnic at Edith Cowan university on Monday, October 31 from 5.30 – 7.30pm. With prizes for the scariest bears, it’s part of the month-long exhibition Threadbare at the uni’s library, where the three artists explore the inner workings of cuddly companions. The picnic will feature music by 12-year-old Owen Sands.